Liberman slams ACUM music award for withdrawing lifetime achievement award for Ariel Zilber after leftists foment against him. Foreign Minister Avigdor Liberman criticized the decision by ACUM, the national union of composers and musicians, to give musician Ariel Zilber a prize only on his contribution to music, and to withdraw the Naomi Shemer Prize for lifetime achievement that it was announced last month he would receive. 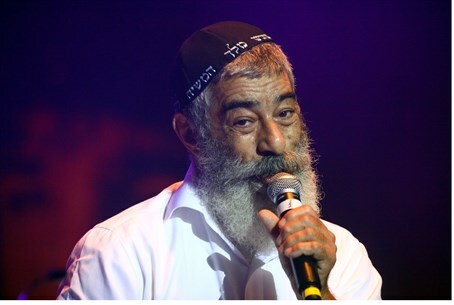 Liberman wrote on his Facebook this Monday "the capitulation of ACUM and the decision to give Ariel Zilber a prize only on his contribution to Israeli music instead of a lifetime achievement award is a dangerous submission and flattery of the Bolshevism of radical leftists." Left-wing singer Achinoam Nini, known outside Israel as Noa, turned down an ACUM prize in protest of Zilber being recognized at the awards ceremony. She wrote on her Facebook page that her decision stemmed from "ideological reasons." Zilber is well-known as a staunch Zionist and opposed to territorial concessions - something Nini found unacceptable. But Liberman's fury was directed at left-wing establishment, joining other prominent figures in calling-out an apparent double-standard on issues of free speech. "The same people that waged war on all fronts to allow a high school teacher to cast aspersions on the morality of the IDF, in the name of freedom of expression, are now fighting to silence an artist whose musical genius and contribution to Israeli society throughout his life no one questions, and they prevent him from getting the recognition he deserves," lambasted Liberman. The boycott of musicians that don't identify with the Israeli left also hit headlines recently when the taxpayer-funded IDF Radio host Yuval Ben-Ami declared singer Ehud Banai would not be played or appear on his show, after Banai played at a show in the Jewish town of Susiya near Hevron. Ben-Ami also insulted Zilber, though he said he wouldn't boycott him, stating “people like him have clearly fallen on their heads and ruined half their brains. We can still embrace the other half.” The fact that Zilber was apparently on the “other side” and not "mainstream" according to Ben-Ami meant he could still play his music. Writing on Monday, the day the awards ceremony was set to take place in Yafo, Liberman wrote "I hope that by this evening ACUM will come to their senses and return to their original and correct decision, because you don't have to agree with Ariel Zilber's opinion in order to revolt against this hypocrisy and fear-mongering." MK Shuli Muallem-Rafaeli (Jewish Home) also condemned ACUM, arguing "the legitimization of boycotts from outside starts from boycotts from within." Muallem's reasoning follows reports that Tel Aviv boycotts of Judea and Samaria preceded the international boycotts Israel is being threatened with. "If they cancel the lifetime achievement award for Ariel Zilber we need to cancel the organization called ACUM," declared Muallem. "Ariel Zilber deserves a lifetime achievement award for his contributions to Israeli music, not for his political opinions."